Directed by Ron Howard. With Tom Hanks, Felicity Jones, Irrfan Khan, Ben Foster. 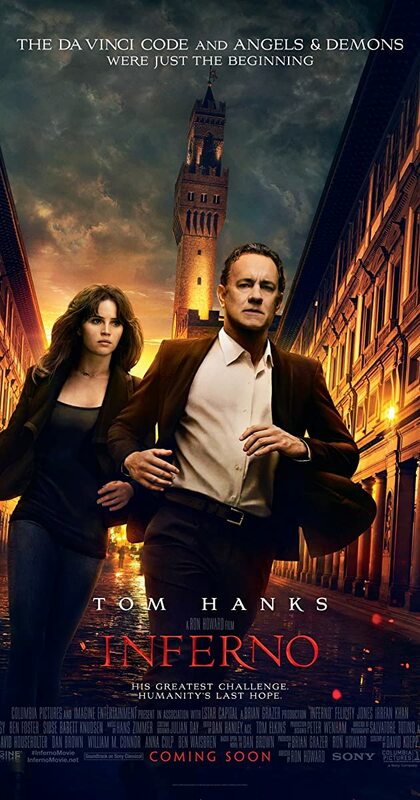 When Robert Langdon wakes up in an Italian hospital with amnesia, he teams up with Dr. Sienna Brooks, and together they must race across Europe against the clock to foil a deadly global plot.